Would you like to feel better than you’ve ever felt before? Feel more happiness and joy, discover your true direction in life, bring forward your innate potential? The Rising Star Healing System can help you do all this, and more. The Rising Star can assist in healing physical, emotional, psychological and spiritual issues, release trauma or illness, and quite simply transform your life! Unresolved issues, old or blocked energy and physical symptoms all fall away, leaving you feeling empowered, lighter, more joyful and energized. The Rising Star healing system even activates DNA, bringing forward your true potential and helping you to become the person you were born to be. 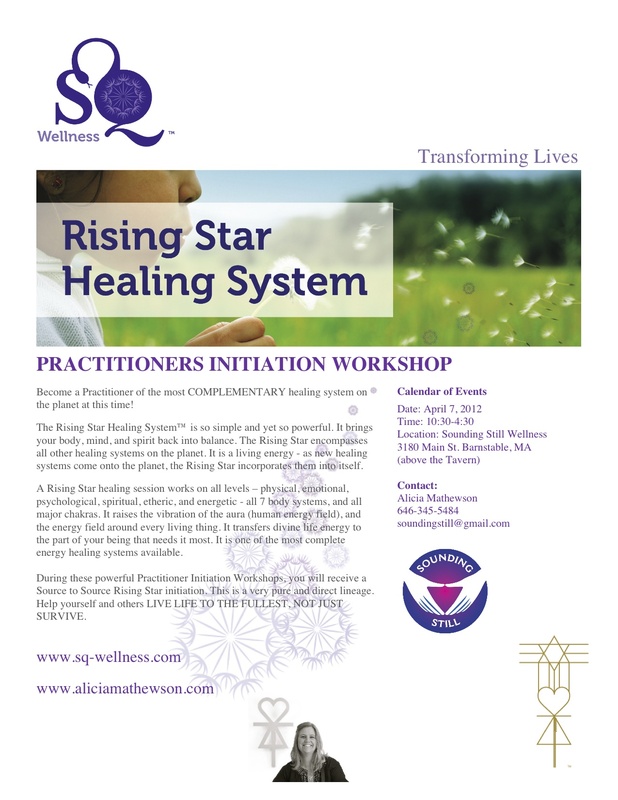 Each Rising Star session brings healing to you for up to 21 days. It is probably the most complementary healing system available today. Sessions are recommended in a series of three, 21 days apart. $150/session BUY & BOOK NOW! $444 for all 3 sessions paid once BOOK All 3 and SAVE NOW! The Rising Star is a powerful self-healing system. It is “self” because all healing is self-healing. The practitioner is trained to hold the energy and create the space for you to heal on whatever level you are ready for.This healing modality incorporates many other systems of healing from all around the world, such as India, Tibet, China, Japan, Europe and Celtic. To schedule your session now please EMAIL US.